Welcome to the latest installment of my Living in a White Box series, Savvy Studios. This series is all about how you can make the most of your white box, AKA apartment, dorm room, or other rental home. It can be challenging to deal with all the restrictions us renters have, but this series will show you a creative, unique home is very doable! One of most challenging of rental homes is a studio apartment. Because most of these spaces lack defined rooms, the renter is left to his/her own creative devices. My first apartment was a studio. It was perfect for the time, as I had little furniture and little money. Back then, my decorating style was not on point yet— I was just getting started. But, I did learn how to distinguish the living areas, like carving out a “bedroom.” Continue reading for my ideas and inspiration on how you can turn your studio into a savvy home. Perhaps the biggest concern about living in an open floorplan is not having a separate place to sleep—and most people don’t want futons. My first apartment was L-shaped, so that allowed me to branch off space from the living room as my bedroom. It was similar to how designer Leslie Banker used curtains to separate the sleeping area in this studio. The curtains are great as they can be drawn for privacy (or to hide a messy bed when you have company). Check out how Catie from Dronning Vintage used her apartment’s closet as a bedroom! It’s a tight spot, but I’d so do this if I were single and had this kind of space. Having the bed here makes this a truly separate space for sleeping and would feel so cozy. Another method for creating a bedroom in an open floorplan is with freestanding structures. Head over to The Projectory to see how Maura and her dad built this box-like structure for her bed. An added bonus is how it’s added another area for her apartment, like the pantry area on the left. The Brooklyn Home Company carved out a bedroom in this studio using a platform bed and lath panels. I love how the wall coordinates in with the rest of the home’s decor– it adds sophistication to this studio. This apartment used plastic crates to create a partition between the living room and bedroom. I love how the partition doubles as storage and cubbies to add decorative elements. Lucite and glass furniture are helpful for giving the illusion of more space in a small home. Jacqueline from York Avenue added extra seating to her NYC studio with this Louis ghost armchair. Bedrooms aren’t the only areas that need defining in a small space. While I no longer live in a studio, my current apartment lacks an actual dining room. To resolve this, I used a corner of the living room to assign as a dining area. The pendant lamp helps to differentiate this space, yet the decor blends in seamlessly with the living room. Double-duty furniture is a great way to make the most of your small studio. Naseem used an Ikea Melltorp dining table for her living room workspace. This can easily revert to its original function when hosting company. Have you ever lived in a studio, loft, or other open floorplan space? If so, did you carve out specific areas like a bedroom? What tips do have for making the most of a studio? Within the last year, I’ve made over my living room 3 times. That’s normal, right? This time, I truly feel like my living room is decorated at its best. So with that I’ll rationalize my compulsive makeover spirit for finally getting the living room right. The room now serves its purpose well as a cool but cozy, and relaxing space. First things first, let’s get to what we love more than cheese on, well, anything— the before and after shots. This “before” shot is actually from the 2nd living room makeover, but I included it to show the difference painting the TV wall made. Eliminating the L-shaped accent wall and enveloping the space with more heavenly aqua helped so much. I also swapped out the Expedit shelves with my hand-painted Rast dressers as a TV console. For warmth, I instead used lots of natural colors and elements like wood, linen, and stone. Doing this gave a stronger expression of the earthy, beachy design I love. My favorite acquisition in this makeover: a vintage wood ironing board. I made it over with chalk paint and some distressing. This chair was another consignment find. I love its curves, which play nicely with all the angles in the room. I also incorporated my fave way to easily change up a room by sewing up some envelope pillow covers. On the linen pillows, I hand-painted a loose herringbone pattern with acrylic craft paint and textile medium. To balance the geometric decor in the room, I painted this abstract piece on canvas. The framed pieces are magazine cutouts, drawings, and sumi’e-inspired works. I also replaced my navy blue coffee table with one that’s more suitable to the room’s new style. This table is another DIY version, created with a plank of wood and taper legs. I stained both, but added white-washing to the tabletop after staining. The tray was a variation of a past DIY and was easy to make. On the inside I added cork, which provides more natural texture and doubles as a coaster. Of course, I made actual coasters as well. These easy, DIY coasters were inspired by Kate Spade’s paper gem coasters. Touches of glam were added by using gold and silver (like the coasters above). I was never a fan of gold until I discovered my perfect shade—champagne. It’s like a cross between gold and silver, which made it a great choice for mixing metallics in the room. I’m so relieved this room is done. But mostly, I’m glad it’s now a streamlined, modern, yet cozy space to relax. Next on the horizon: my bathroom makeover. My love of unique headboards started in my childhood. I remember applying lots of stickers to my headboard as a young’un. I also remember my mother not being too fond of this bold move. She should’ve been more upset that it was a hideous look. My love of creative headboards still reigns—and why should it stop? Non-traditional headboards are a great way to spice up a boring apartment bedroom. Continue reading for the latest installment of Living in a White Box and for some wonderfully unique headboard alternatives. Of all the headboards I’ve made, this one is my fave. I made this canopy-inspired “headboard” for my current apartment’s beachy-slash-bohemian bedroom. This was super simple to make and put all those beads in my stash to good use. Kara Rosenlund fell for these salvaged windows and used them as a headboard, first removing the glass. These are so lovely and perfect for adding texture and pattern to a bedroom. Macramé has made such a big comeback. What better way to usher it back in our homes than as a headboard? Check out how Mandi at Vintage Revivals created this custom headboard for a room makeover. I love how the copper pipe makes the macramé fresh and modern. Another great use of basic craft supplies is this ribbon headboard that Sandra from Sawdust Girl created. Just nail the frame to your walls and you’ve got a sharp, geometric piece of art in your bedroom! Hanging textiles on the wall to simulate a headboard is easy and provides lots of options. One way to do this is to hang a rug on the wall, like this hemp rug from Eco Chic. Psst: you can DIY a rug like this too. Google it. I’m seriously contemplating making this next one. Technically, there’s a headboard here, but this look would be perfect on its own. Aimee from The Crazy Craft Lady used paper and molding to create a faux wood plank headboard. If you can paint the walls in your rental home, you can easily create a “headboard” with color-blocking. Alexandra Angle made a simple yet snazzy headboard by painting a portion of the wall with a happy shade of coral. Wall decals make great alternatives for a headboard because they’re easy to “install” and easy to remove. This geometric decal from Urban Outfitters is no longer available, but you could surely duplicate this look with some washi tape. Colleen at Fresh Vintage hung an old school world map above her bed in lieu of a headboard. I’d have loved this as a kid! What say you—have you tried any headboard alternatives in your home? Or do you prefer the traditional versions? As evidenced by today’s neuroses, I never really learned to properly style a bookshelf. In the past, I only sought function so I thought it was easy. I’d buy those inexpensive, wood laminate, ready-to-assemble bookshelves. You know the kind—really cheap yet totally practical. Aside from the obvious use, I’d add a few tchotchkes and call it a day. Today, I’m waging a war against boring bookshelves. After years of having no bookshelves in my living room, I purchased three units from my happy place, IKEA. To arm myself through this battle, I compiled a collection of tips and ideas from other decorators and bloggers. There’s plenty resources out there that tell you how to style a bookshelf. And many of those are quite lovely—if you don’t have many books. Kelly from View Along the Way has the best tips for styling a bookshelf when you have lots of books but still want to infuse some personality. It’s the best of both worlds. Did you know there are seven ways you can arrange your books? I didn’t believe it at first, but Karen at The Art of Doing Stuff wasn’t lying! I love how her bookcase has tons of books, yet it’s still aesthetically pleasing. Maybe you don’t have many books. There’s nothing wrong with that. Bookshelves can still be a wonderful feature in your space because they allow you to showcase your personality with accessories. Check out this fierce bookshelf decorated by Emily Henderson with minimal books but maximum style. If you’re feeling ambitious, you could recover your books like Brooke from All Things Thrifty. This look creates a feeling of order and unity to a room, but is far from boring with the variety of pattern. Maybe you’re pretty confident about your bookshelf styling skills, but feel like your shelves are still lacking something. One solution is to change the color, like these peppy yellow bookshelves from Better Home and Gardens. If bright color isn’t your bag, you can paint the shelves the same color as your walls. 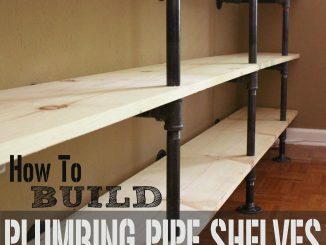 This is great if you love the look of built-ins but have freestanding shelves. …or you can revamp the bookcase by adding mirrors. This look is doubly effective as it also creates the illusion more space and light in the room. 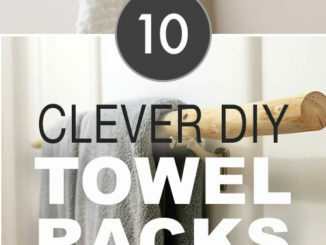 Armed with these tips, I think we can finally win this war of drab decor! Stay tuned as I’ll share how I finally overcame my boring bookshelf battle. Are you pretty savvy with bookshelf styling? Or have you also had trouble getting it just right? Do you decorate your bookshelves with strictly books or a mix of books and decor? What are your favorite types of bookshelves? A few months ago, I received a writing assignment that absolutely stoked me. I get excited over everything and everyone I write about, but this piece had me especially excited because it was my first decor-related piece for the paper. I was asked to interview a local furniture designer, Lacey Campbell. As if meeting someone who created something I love wasn’t enough, during my research on her I discovered she was a contestant on a reality show. Reality TV is my guilty pleasure, although I have to limit my viewing to creative shows. Double win: she was a contestant on a furniture design reality show! Just like when I interviewed Maya from Project Runway: Junior, I was starstruck. But Lacey’s warm, friendliness quickly erased any anxiety I had over meeting a reality star. This piece was a dinged-up, homely chest of drawers before Lacey reincarnated it. Photo Credit: Heather Biddle. Lacey designed and built this monastic, red oak table for the Black Cloister Brewing Company in Toledo. Photo Credit: Heather Biddle. She’s now doing furniture design on her own, still at home here in Toledo. You can find out more about her experience on Framework, what it’s like being a female designer in a male-dominated field, and more in my Toledo City Paper interview here. You can check out more of Lacey’s work at her website, Lacey Campbell Designs. I’ve experimented a lot with decor throughout the years. Being a Libra, I blame it on the stars. Fickleness be thy name. And since I’m a crafty chick, always looking to reincarnate or create my own decor, I’ve spent a good amount of money on all these experiments investments. Some of these projects ended up great for short-term enjoyment, like a one-hit wonder. Others have stood the test of time, going through their reinvention phases but always churning out hits—like my dresser. And then some projects are content being the unassuming star, still making people happy and content just to be in the game. My rope side table falls into the latter category. I created it a little over 3 years ago (which is like 9 in decor years) after I was inspired by trendy wicker tables that cost a buttload of money. When I came across this tutorial at Apartment Therapy, I knew I could duplicate those expensive tables with the simple addition of rope. … and now this trusty table resides in my new home, paired with a big comfy chair and meditating kitty. It’s ruggedness is offset by the abstract art and modern shelves (Expedits are my one true love). This is in my newly-created workout/yoga space (more to come on that in the future). You can check out the super-easy tutorial here. So how has the table maintained its longevity? Throughout all my decorating experiments, there’s one common thread: nature. I love decorating with natural elements not just for texture and visual interest, but because natural items make a room feel laid-back and relaxing. Having this common thread also allows me to easily swap out items when I feel a room needs an update (or total makeover, as I’m prone to doing…. 3 months after moving in). Do you have any DIY projects/furniture that have maintained a role in your home? Do you also like to swap your decor around between rooms? The vibe: Peppy, bright, and organized. The style: Natural, mid-century modern with contrasting touches of glam. The palette: Emerald green, black and white, and metallics. What I love about this room: It’s the only room in the house in which I used such a vivid color. I also love the storage–there are two closets in here, perfect for hiding my arsenal of creative supplies & decor. What I don’t love so much: The positioning of the closets. Since they’re on the longest wall, it makes rearranging difficult on the other walls. And yes, I’ve already rearranged this room since I moved here in June. How this space is ME: While I found my niche with neutrals, I still me some super-saturated color. This room honors that love but only in pops of color plus I tempered it with the neutrals. Also, I’ve decorated with a few pieces from my family: a counted cross-stitch piece from my mother and an old photo of my great-grandparents. I am a very lucky lady to have the chance to work from home. I’ve done it for about 7 years now, and it’s been heavenly. No fluorescent lighting! No recycled air and the germs it contains! As little or as much noise as I want! Of course, the best part about working at home is decorating that space however I desire. Since I’ve worked from home, I’ve always used a bright color in my office. That’s because I believe in color psychology, and want the color here to keep my brain energized and alert. I also aimed to decorate this room in a way that doesn’t feel like I’m stuck at work. I want this to feel as far away from a cubicle as possible. My vintage tanker desk is a piece I don’t think I can ever part with. It’s so heavy but durable. They just don’t make (affordable) furniture like that anymore. I reincarnated the desk from teal into a lush emerald hue (Soapstone by Behr). To do this, I used a DIY chalk paint recipe with latex paint and calcium carbonate, which you can view here at In My Own Style. My office chair also received a revamp. First, I glammed up the base and legs with several coats of a light gold spraypaint. (It’s worn off a little in spots, but I’m still content with it.) However, my fave part of the revamp is the fabric, which I scored from Joann’s. It’s a black and white crosshatch pattern that pairs wonderfully with the MCM desk. It was very easy to recover the chair, because I only used a staple gun and hot glue. First, I disassembled the chair and traced the back (x 2) and seat onto my fabric, allowing extra inches all around. I then used a staple gun to attach the fabric to the seat. For the chair’s back, I glued fabric onto one side of the chair back and then trimmed the excess off the edges. I then glued the other piece to the opposite side, folding the fabric edges under and over the first panel. It was a little tricky through the curved parts, but I was very pleased with the results. Plus, this was far easier and quicker than sewing a cover for the chair back. Obviously an organized workspace also lends to the vibe of order. I have two metal bookshelves in which I store my most commonly used items in white boxes and magazine files. I also favor decorating offices with white, since it helps the color stand out and creates a feeling of cleanliness. This table is a very cheap desk from IKEA that also a leg makeover with the same gold spraypaint. The stool is–surprise!–also from IKEA and was originally black. I painted it with the same chalk paint as the desk. This piece is one of my mother’s counted cross-stitch creations. I inherited it years ago when she passed, but never found a proper home for it since it didn’t coordinate with my past color schemes. But it has a home now. It was always one of my favorites because I love birds and all the colors in it. I had to make a place for it so this room seemed best. I also added houseplants like pothos, Vick’s plant, and a lemon fern to complement the bright green from the desk. While the office is not as brightly lit as my last home office, it’s still a decent place for them. A wood letter tray with a DIY whitewash treatment frames the plants nicely. The final wall is pretty uneventful, but practical. I cut out circles of dry erase paper and applied them to the walls. These help me organize my various to-do lists. On each side, I hung various rulers I use for my projects. That’s all, folks! It’s a pretty small room, so with the powerful green of my desk, I didn’t want the rest of the decor to compete with it. It’s a fairly simple space that I keep cleaner than any other room because it’s my workspace. Do you have a space dedicated in your home for an office? How do you like it decorated? Do you prefer neutral colors or bold colors for decorating?